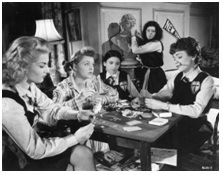 School girls in Gymslips and stockings might sound like something that will get you into very big trouble if you google it, but it seems to be ok if its in relation to the girls St Trinians. This is the school for those girls who have rebelled from the norm and have been sent there by distraught parents who’ve basically had enough of them. Armed with Lacrosse and Hockey sticks primed from watching Hockey Drill Videos like the ones available at https://www.sportplan.net/drills/Hockey/ the Girls were well prepared to better the public schools lot. That they were the daughters of gangsters, playboys and disaffected posh mothers had nothing to do with it. It was the brainchild of one Ronald Searle as a short run for a comic. It was first released in 1941 and was very light hearted and fun. The girls generally caused havoc and mayhem wherever they went egged on, ignored or aided by their discipline ineffective School Mistress and roguish Head Mistress Miss Fritton who was always looking for a deal to make money. Lessons were optional rules non-existent. Searle drew the comics and the girls dress sense was less than conservative for what one would expect for a public school. However, the truth is Searle based in on a real design that his daughter was wearing to her school. The rising hemlines being reserved for the over 16 Sixth formers. Searles work became darker following his incarceration in a Japanese prisoner of war camp. It was meant to be the complete opposite of a public girl’s school, so the girls stabbed with pitchforks or their smashed bodies after a particularly hard hockey game were not regular scenes you would see there. Searle was not commenting on the system more on his war experiences. The Vultures that circled the school further evidence for it. This was not a view taken when the British film industry took up the rights and began producing some of the finest comic films of the 50’s and 60’s. This was an early example of franchise and featured regular cast members in the shape the brilliant Alistair Sim as Miss Fritton, a tradition continued by Rupert Everett in the reboots, and George Cole as Flash Harry, a role taken by Russell Brand in the modern versions (a role he must have greatly enjoyed being surrounded by pretty young actress in short skirts!) as central characters. Flash Harry hides in the grounds and is summoned by the girl’s strong whistle. He merges from a bush in long over coat looking sheepish. This sounds very wrong to our ears, but it was perfectly acceptable in the 1950’s. Despite the reboots in the noughties watching St Trinians now is a bit eye watering at some points due to what the Sixth formers wear. It was seen as harmless fun and the girls are uncompromising rebels, yet they will happily look to bag a sugar Daddy Prince. Worth a view though, fun films just don’t over think it.